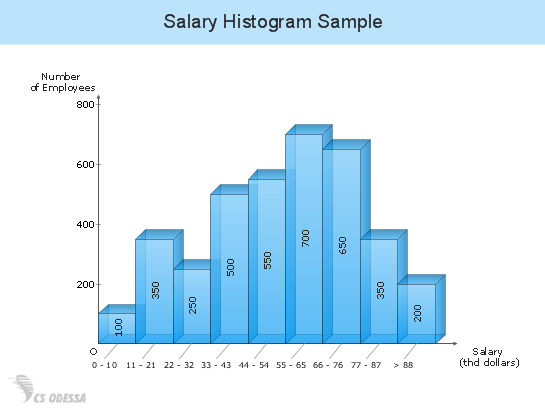 Samples of Business Diagrams (Bar Graphs, Column Charts and Histograms) are created with ConceptDraw DIAGRAM diagramming and vector drawing software enhanced with business diagramming solutions from ConceptDraw Solution Park. The ConceptDraw DIAGRAM offers you a variety of diagramming tools, and solutions from the Solution Park provide diagram templates and libraries of ready-made charts and shapes for quick and simple drawing professional-quality business diagrams. ConceptDraw DIAGRAM provides export of vector graphic multipage documents into multiple file formats: vector graphics (SVG, EMF, EPS), bitmap graphics (PNG, JPEG, GIF, BMP, TIFF), web documents (HTML, PDF), PowerPoint presentations (PPT), Adobe Flash (SWF). 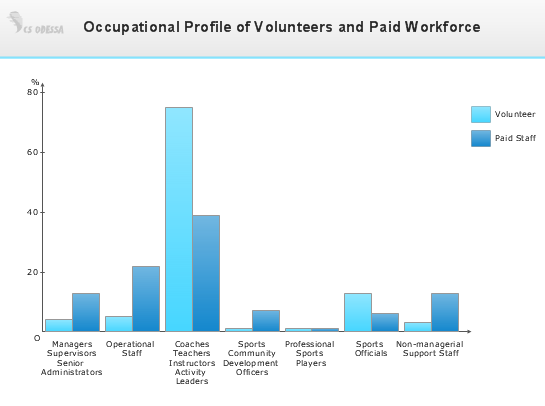 Double Bar Graph sample: Occupational profile of volunteers and paid workforce. solution Basic Diagramming from ConceptDraw Solution Park. 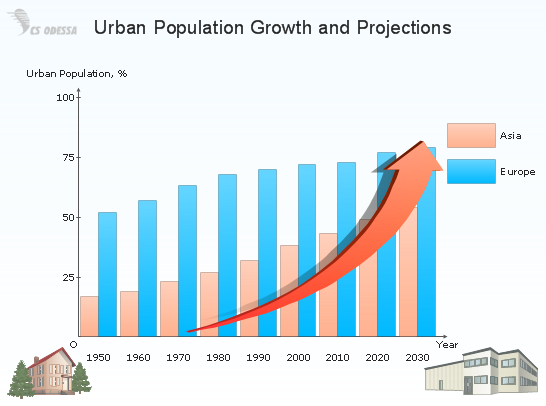 Double Bar Graph sample: Urban population growth and projections. 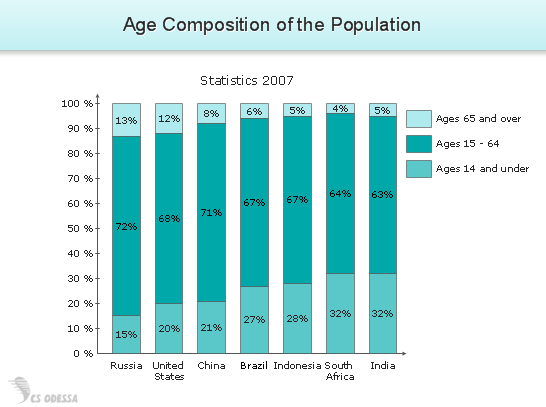 Percent Bar Chart sample: Age composition of the population. 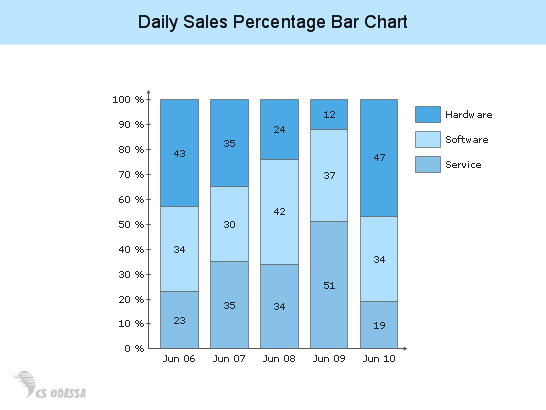 Normalized Stacked Bar Chart sample: Daily sales percentage. 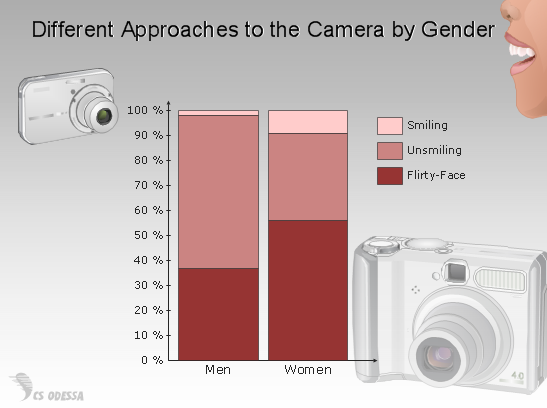 Normalized Stacked Bar Chart sample: Different approaches to the camera by gender. 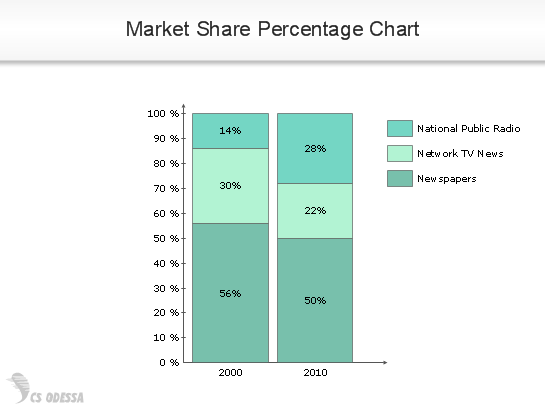 Normalized Stacked Bar Chart sample: Market share percentage. 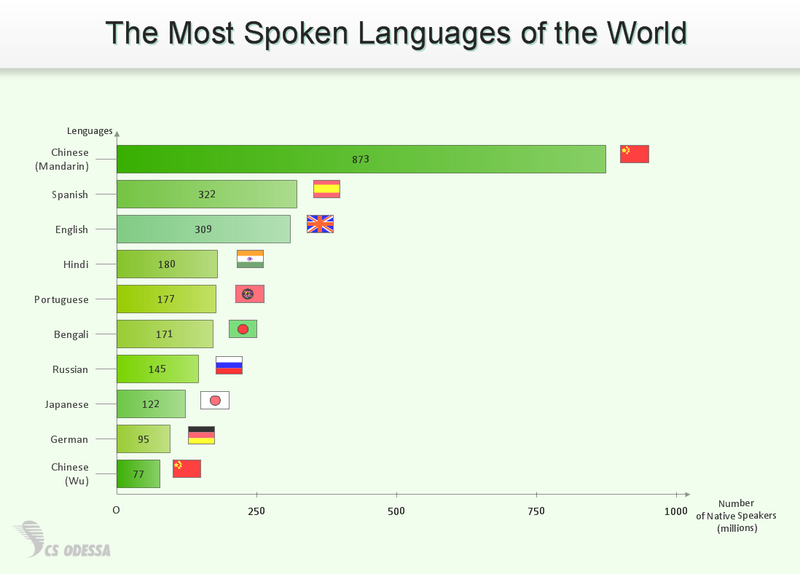 Horizontal Bar Chart sample: The Most Spoken Languages of the World. 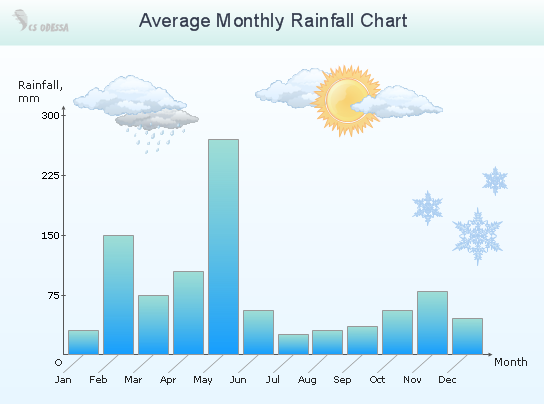 Column Chart sample: Average Monthly Rainfall. 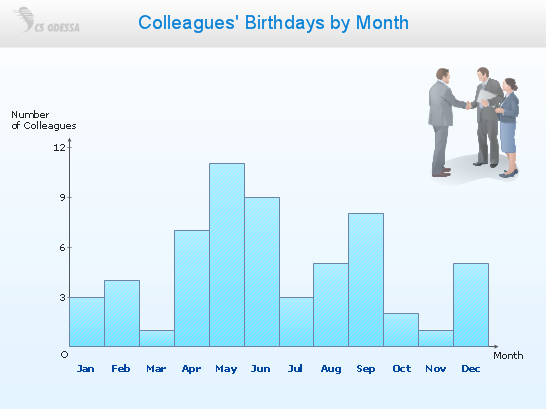 Column Chart sample: Colleagues' Birthdays by Month. 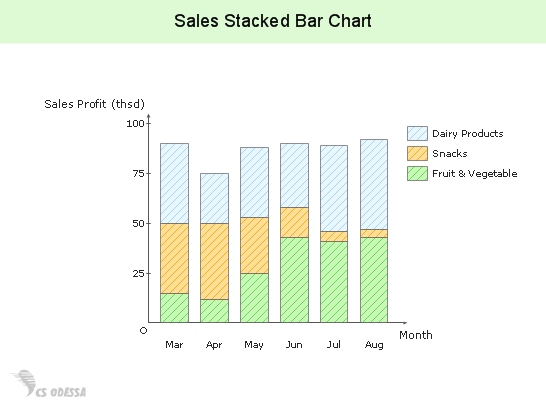 Stacked Bar Chart example (3 series): Sales. 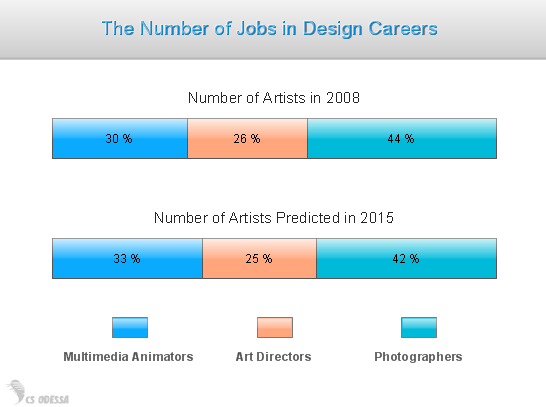 Divided Bar Graph sample: The number of jobs in design careers. 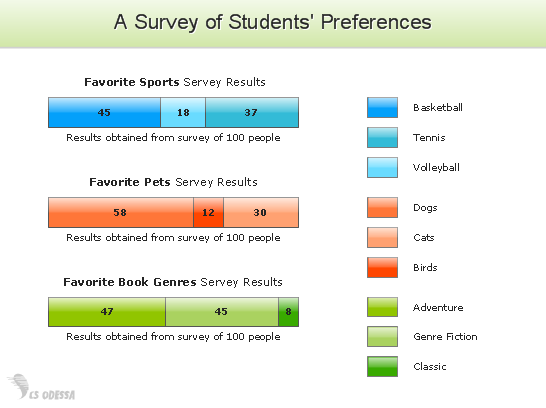 Divided Bar Charts sample: A survey of students' preferences.